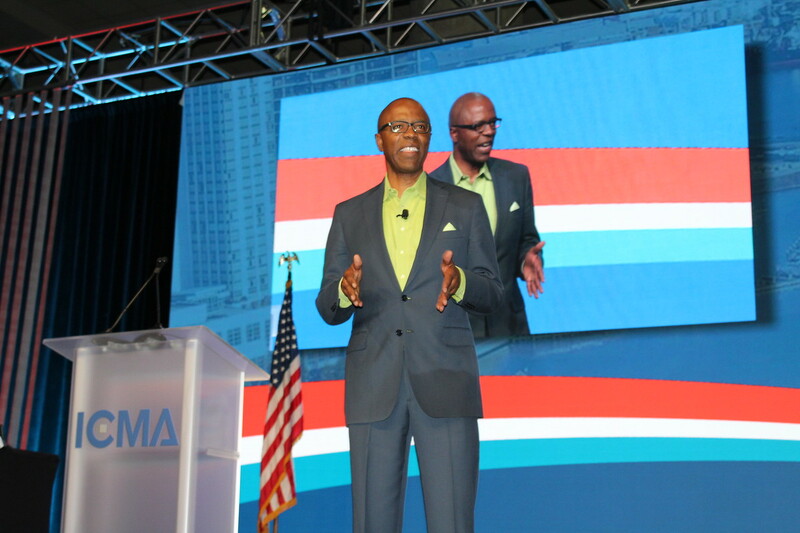 Watch Greg Bell's keynote through the 2018 ICMA Annual Conference Archives. “Start your day by asking yourself what is going well in your life, urged Greg Bell, ICMA’s Tuesday conference keynote speaker and author of Water the Bamboo. Answering that question creates optimism in your life and helps reinforce that “first day of work” attitude in your team. Bell stressed that courageous leaders build trust by following certain principles. He told the audience that he absorbed many life lessons from his grandfather as they worked on the family farm in a small town in Texas. Nurture the seed. We instinctively nurture babies, but we don’t always nurture new ideas, Bell said. Water the bamboo. The first year you water the bamboo seed, nothing happens.The second year, third year, and fourth year, nothing happens. But the fifth year, that bamboo grows a foot and a half a day. A new initiative may not show quick results but may simply need more time to succeed. Deep connections, like the roots of the bamboo, are important to success. Local government leaders have a great deal to juggle, Bell observed. It is important to focus on just one or two things to make progress. “Remember that the bamboo sheds its rough exterior as it grows,” Bell said. Like the bamboo, leaders should create a “do not do” list and shed unimportant projects or distractions. “What can you let go of? What are you holding onto that is holding you back?” he asked. When Steve Jobs returned to Apple in 1997, Jobs cut the number of products Apple was offering from 350 to 10, Bell noted. 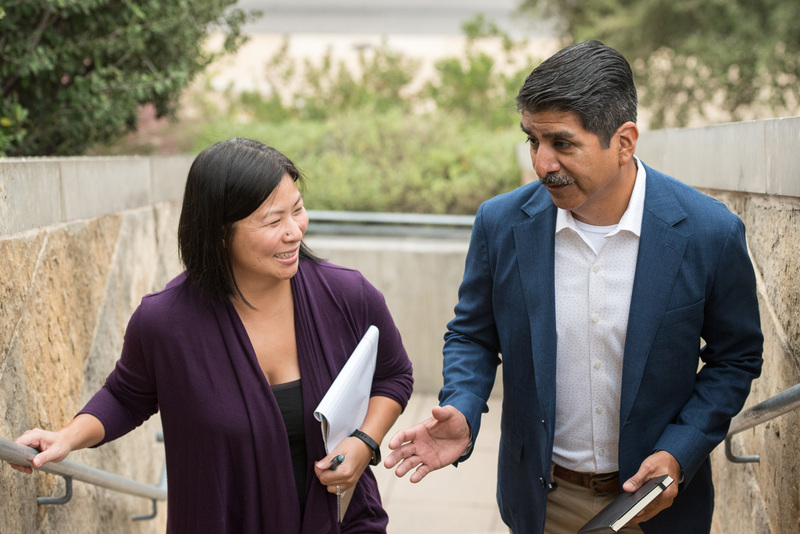 And while Blockbuster focused on trying to get more people into its stores, Netflix asked, “How can we deliver our service faster?” Bell suggested that local government leaders need to ask how they, too, can deliver services faster. Bell stressed the importance of patience, perseverance, self-discipline, courage, and belief to succeed. “It’s important to be patient with processes, people, and yourself,” he said. “Persevere by nurturing high-value activities and be self-disciplined in your actions. Leaders need courage and they need to encourage their teams,” he added. He closed by talking about his distress upon learning that his grandfather was dying. He desperately wanted to introduce his four-month old daughter to his grandfather and rushed to the hospital. When he arrived, he saw all of his tall relatives standing around his grandfather’s bed, wondering what to do. A quiet voice in his head told him, “Throw the baby on the bed,” and he did. His grandfather woke up and the baby began to giggle. His grandfather giggled, and soon everyone around the bed was giggling. Bell could only think about his grandfather’s observation that peace is inevitable. His baby came from peace and now his grandfather was going to peace. You can access this keynote presentation and other ICMA 2018 Annual Conference sessions through the ICMA Virtual Annual Conference. Available on demand, it’s a great way to connect with local government professionals from around the world, participate in educational sessions presented by knowledgeable speakers, and earn credits toward your ICMA-CM or AICP-CM without the cost of travel.